Exiting a business is one of the largest financial and emotional events that a business owner will experience. Despite this fact, there are few comprehensive resources to turn to for information on this extremely important area of a business owner's life. 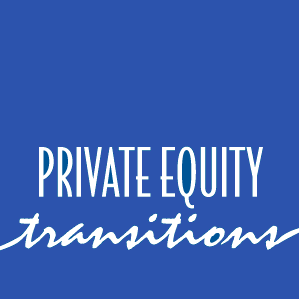 Private Equity Transitions, LLC provide quality exit strategy advice, planning and execution to business owners. The Private Equity Transition philosophy is simple: Each business owner has a unique set of motives for their business and exit (i.e. not just getting the highest price) so we believe that every exit strategy should be conducted over a period of time that is sufficient to accomplish each owner's true motives. We recognize that every business owner looks at their business differently, so every exit strategy should be customized to fit that owner's primary objective. Exit strategies should evoke the same spirit within a business owner that existed when the business was started. Private Equity Transitions, LLC provides the tools for business owners to make educated decisions about how to best transition the company and follows through by providing the necessary resources to fulfill the plan. Our services in this arena include a detailed analysis of the company including an understanding of the strengths and weaknesses of the company and their effects on the business value. Analysis of the tax effects on the various transactions and ultimately finding an avenue to transfer the business whether its internally to employees, family members or externally through the open market.